Recently, I told you about the closure of the long-time Westside fixture Soybean Chinese Food due to a health code violation at 11966 Wilshire Blvd. in West LA. Wasting no time whatsoever, a charming and cheerful little lunch spot has moved in. Biobar, which opened on Tuesday, serves a simple and straightforward menu of “fresh & healthy” soups, salads, and sandwiches and is brought to you by the people behind Totpot, the organic children’s prepared meal delivery service. 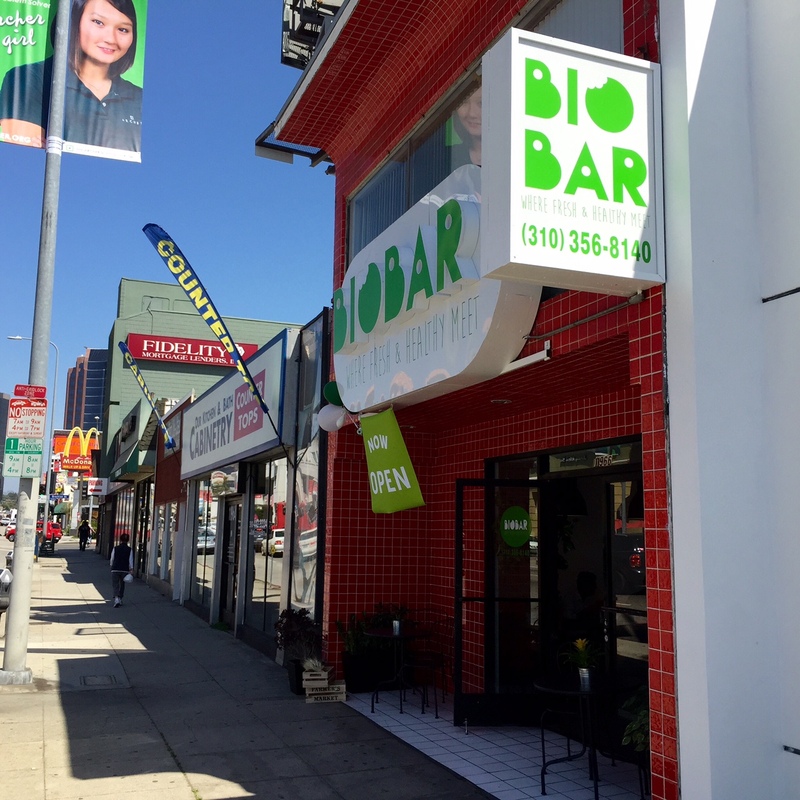 This entry was posted in News and tagged Biobar, Soybean Chinese Food, Totpot, West LA by toddrickallen. Bookmark the permalink.